Merry Christmas Eve to you. I have some exciting things coming up on the blog for 2016. I'll be certainly continuing the IT technical posts as I normally do, which is the main portion of this blog. But I'll also have a few other things as well. I'm planning a product review of Colasoft's NChronos, which so far looks like an excellent product. I'll also be posting more home project posts. 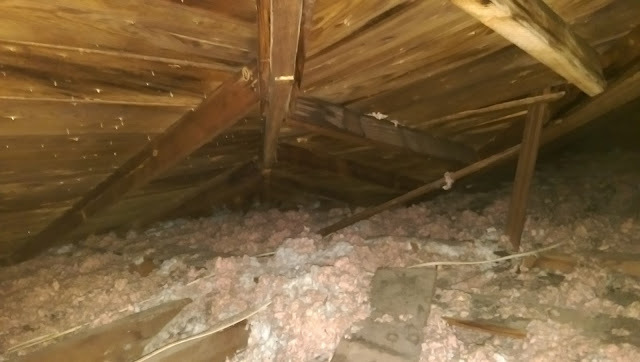 I'll be updating a 1935 home and I'm really excited about it (pictured below is the old school attic). Also I'll be putting in more quotes of the day as well. Thank you for reading the blog this year. I hope you keep coming around. I will keep coming around!! And Merry Christmas to you and your family!!! Merry Christmas to you too You and yours Brad! May God's face shine upon you, and bring you peace! Have A Safe New Years Eve All!